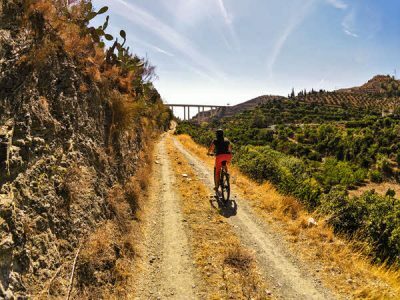 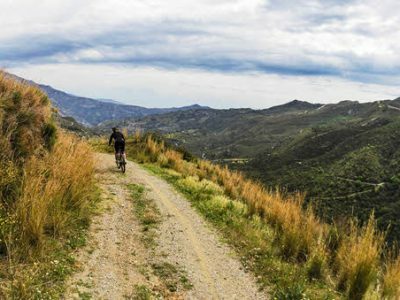 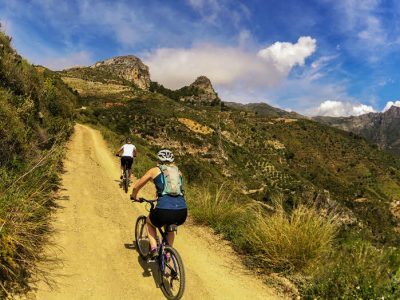 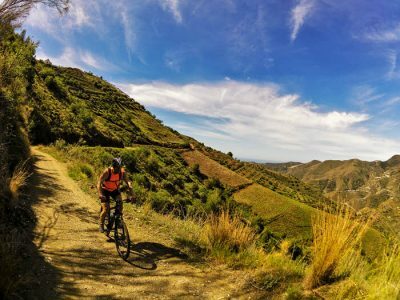 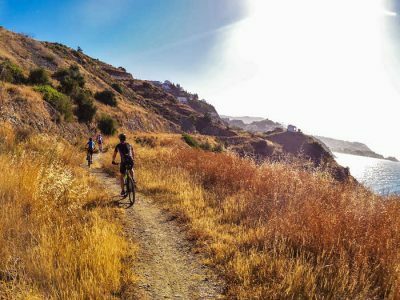 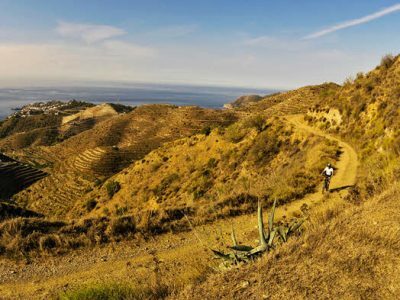 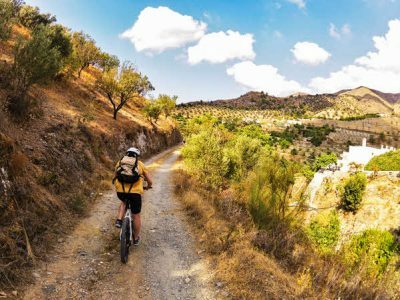 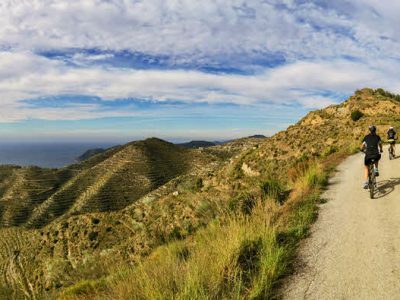 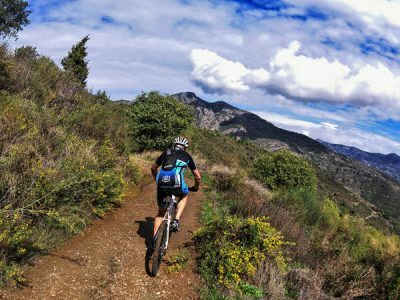 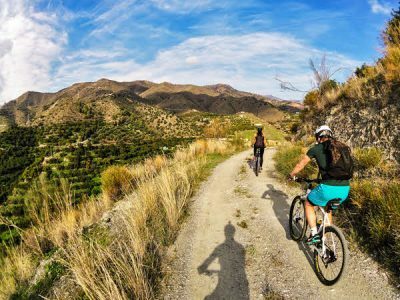 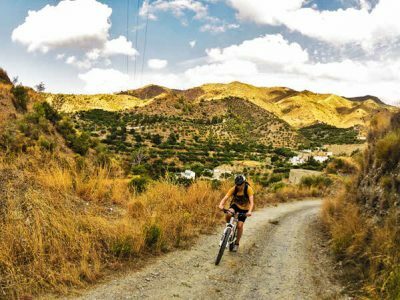 Mountain biking in this part of Andalucía is mostly cross-country that offers challenging endurance climbs with stunning views as a reward. 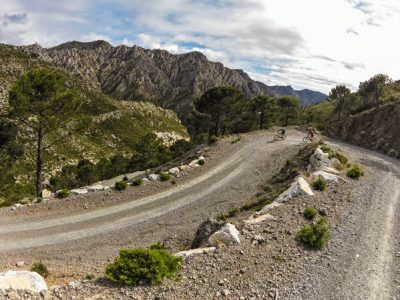 The numerous dirt tracks and adventurous single trails mixed with some technical descents help to keep the adrenaline level topped up. 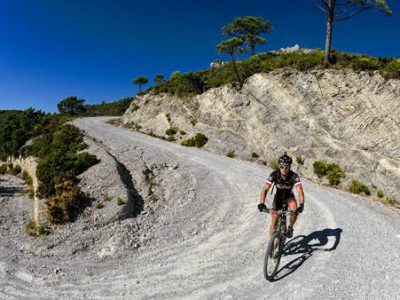 Depending on your fitness and requirements we are able to customize your mountain biking ride to make it both challenging and doable. 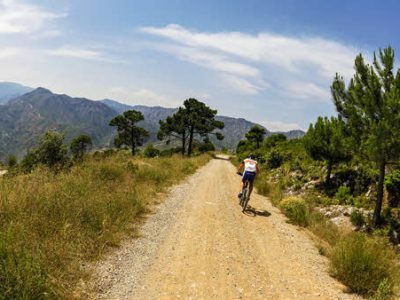 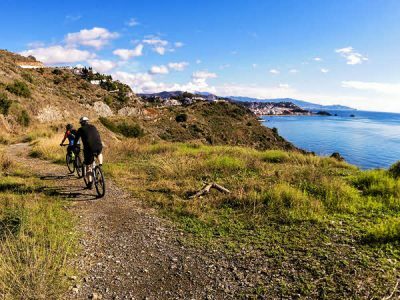 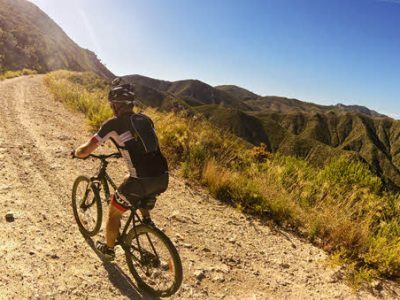 We have a great selection of mountain biking cross-country rides varying in length from 20-120 km that have anything from 500-4500 metres of climbing. 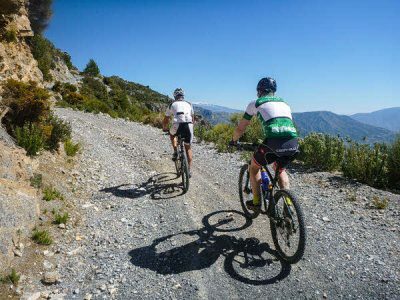 We always tailor the rides to suit your ability and fitness level but at the same time we want you to experience the best mountain biking rides you have ever ridden. This usually means a bit of effort on the climb although this is more than made up for on the exhilarating descents that follow. 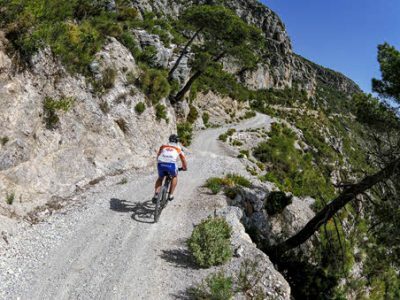 Where there’s an up, there’s always a down! 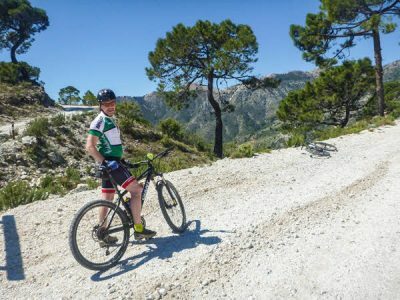 Always remember that we want you to get the most out of mountain biking holiday with us so all rides can be extended, most rides can also be cut short too…..all you need to do is ask your guide! 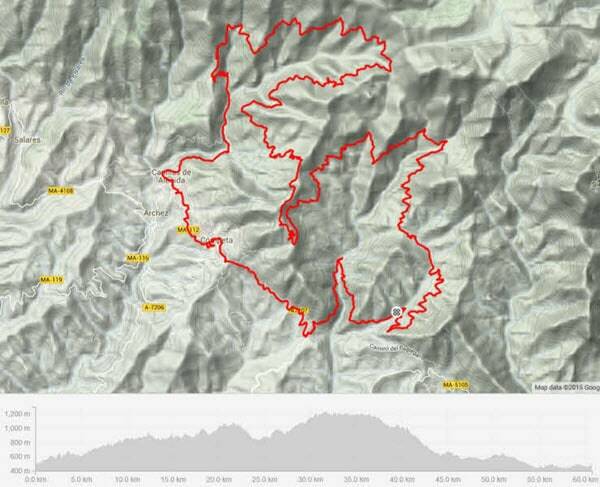 The only thing we can’t do is make the rides flatter!!! 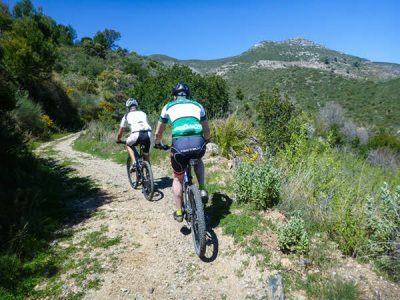 Here are some examples of our rides. 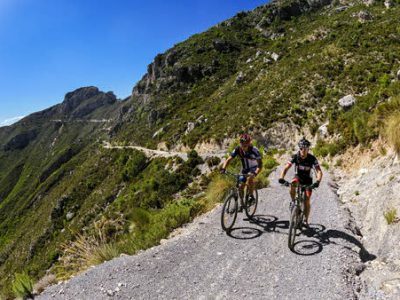 We have plenty more. 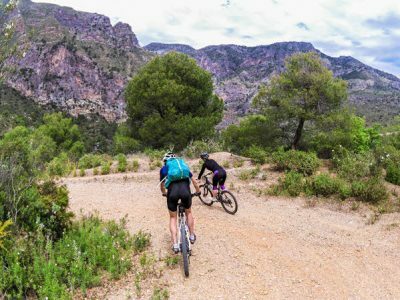 You can either choose one of these rides or your guide will find the best ride adapted to your level. 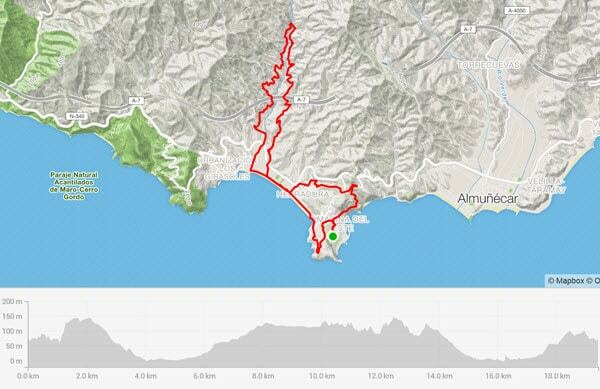 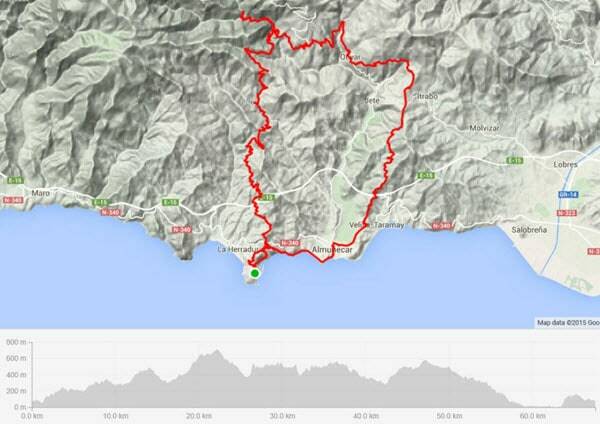 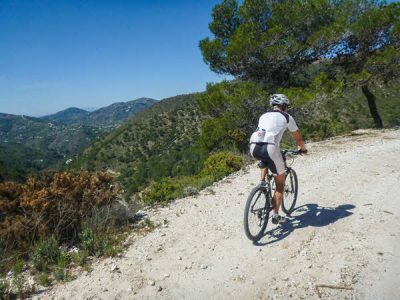 This medium tour takes you through the valley above La Herradura with a nice combination of gravel and tarmac roads. 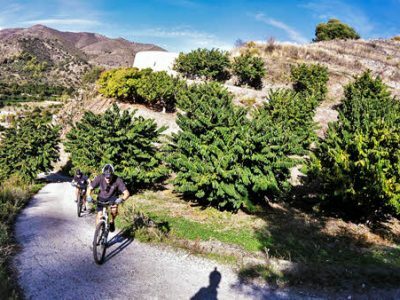 The valley is full of various kinds of fruit trees such as avocado, mango, cherimoya, orange, almond trees etc. 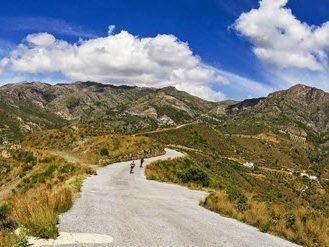 A nice day you can see the top of Sierra Nevada. 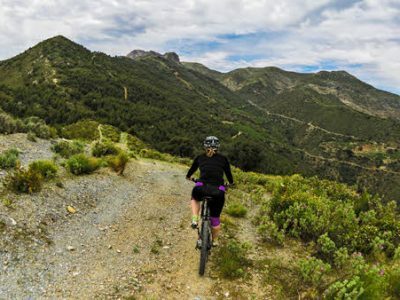 During this expert tour you will discover the beauties of the mountains of Costa Tropical. 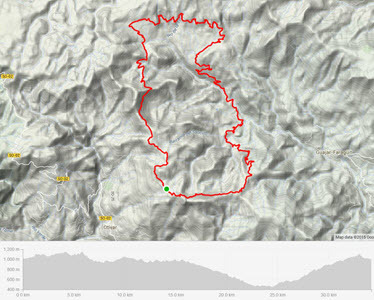 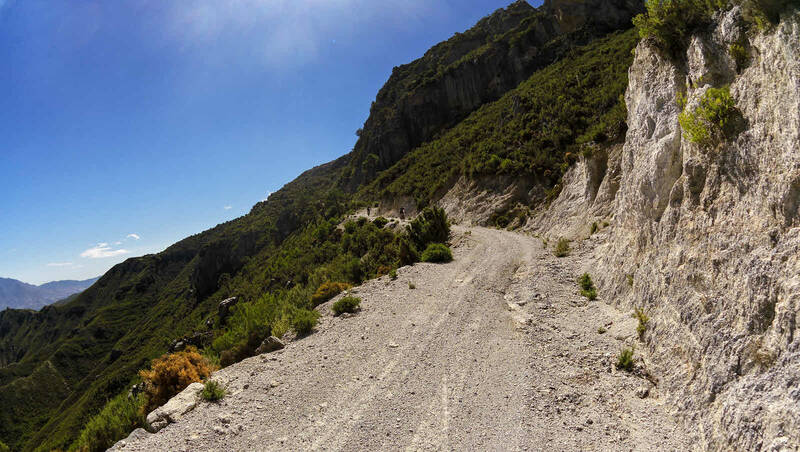 It’s a combination of bad steep gravel roads and a few tarmac patches with focus on climbing. 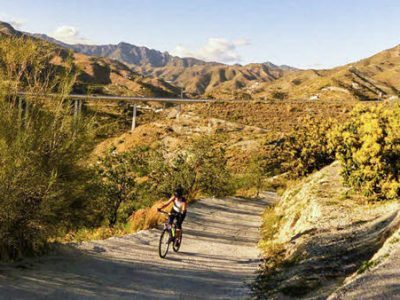 This tour takes you through two different riverbeds; Río Seco and Río Verde. 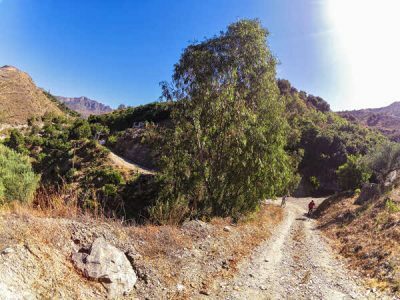 There is an option to have a quick refreshing dip at the pools of Río Verde. 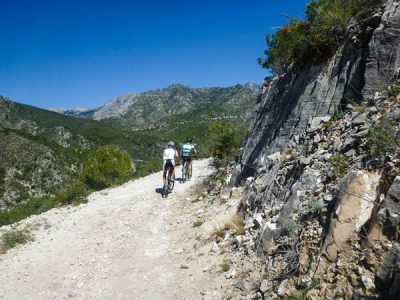 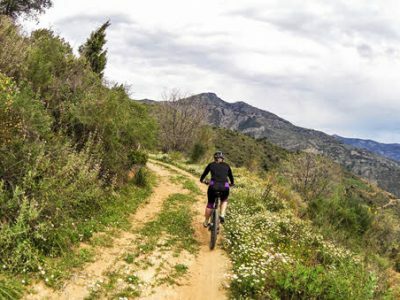 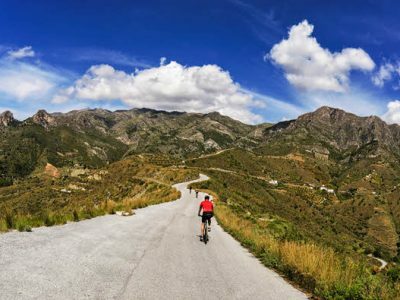 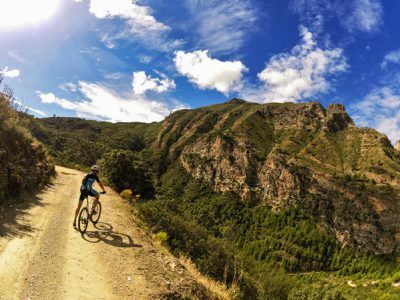 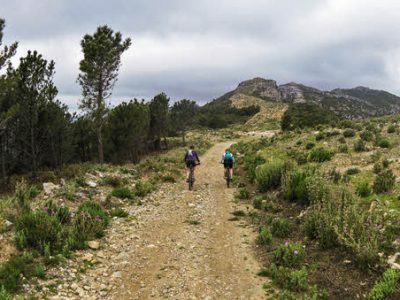 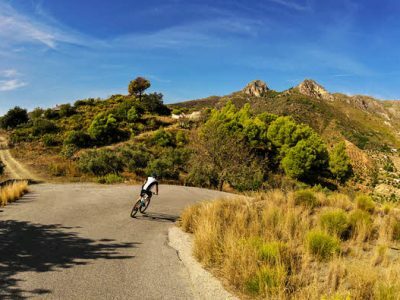 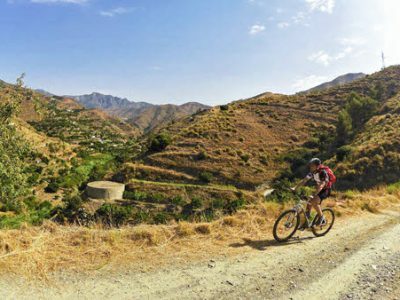 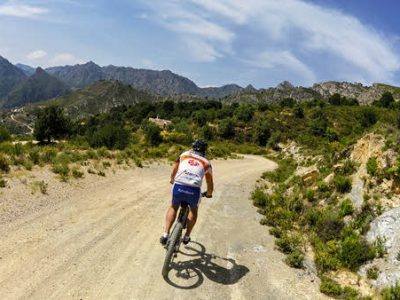 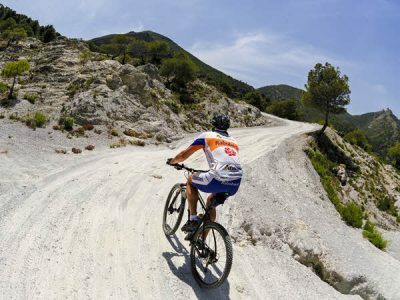 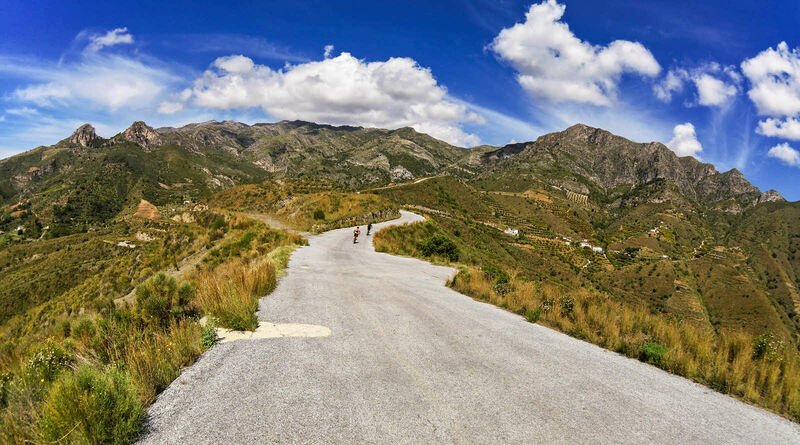 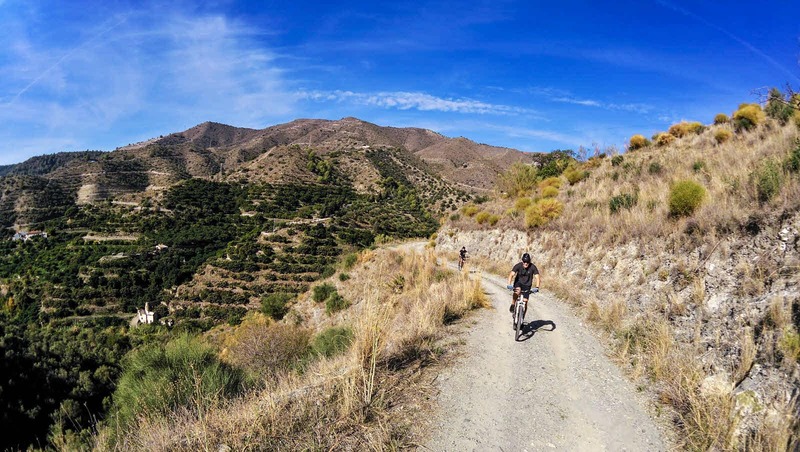 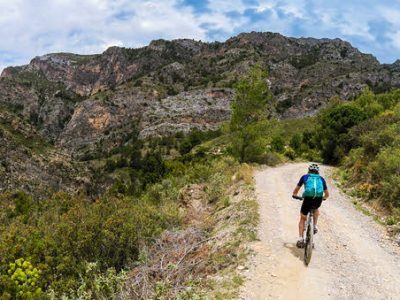 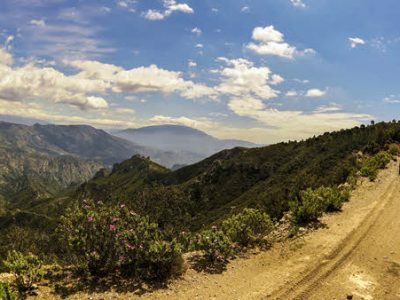 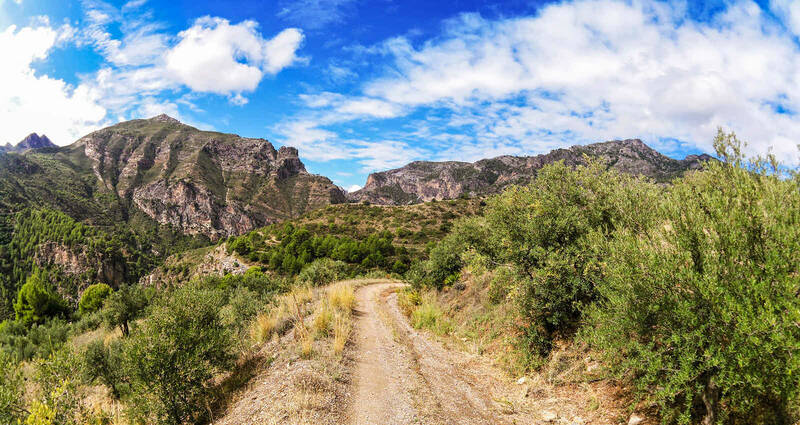 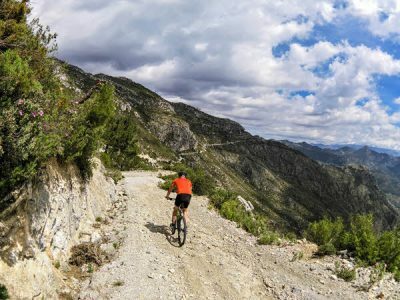 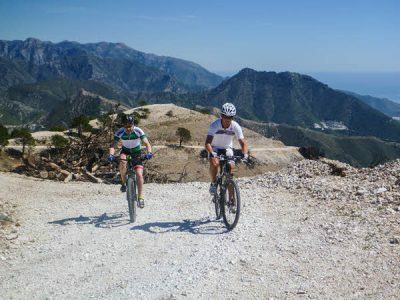 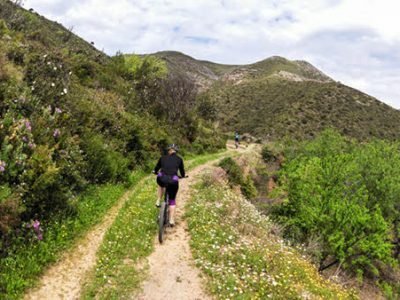 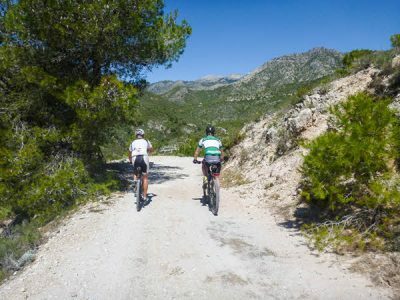 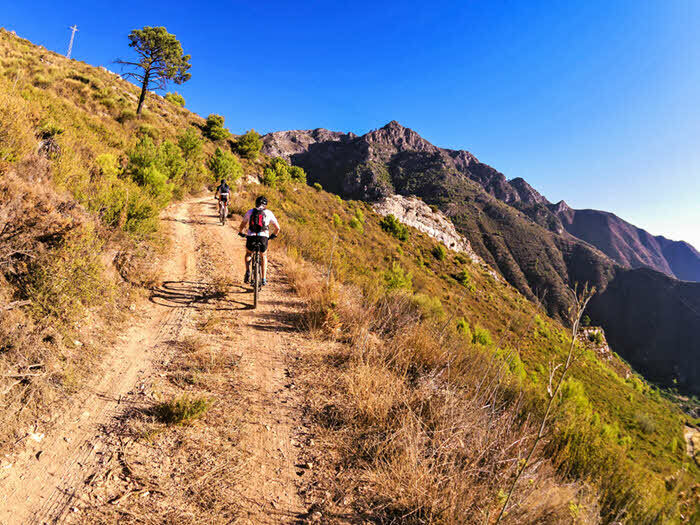 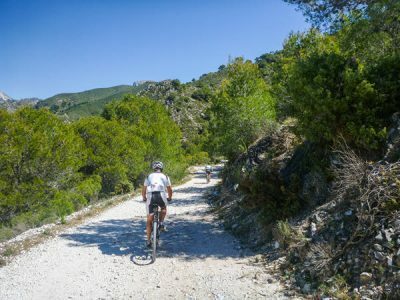 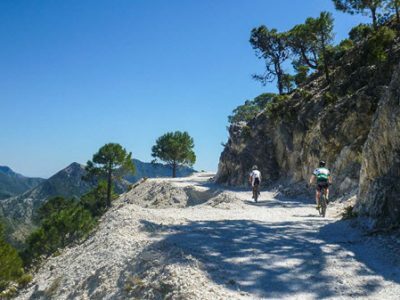 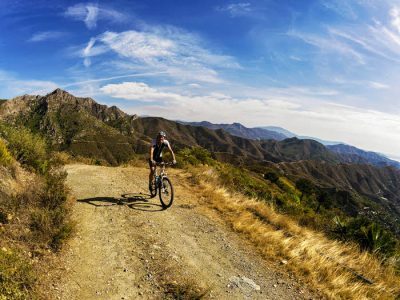 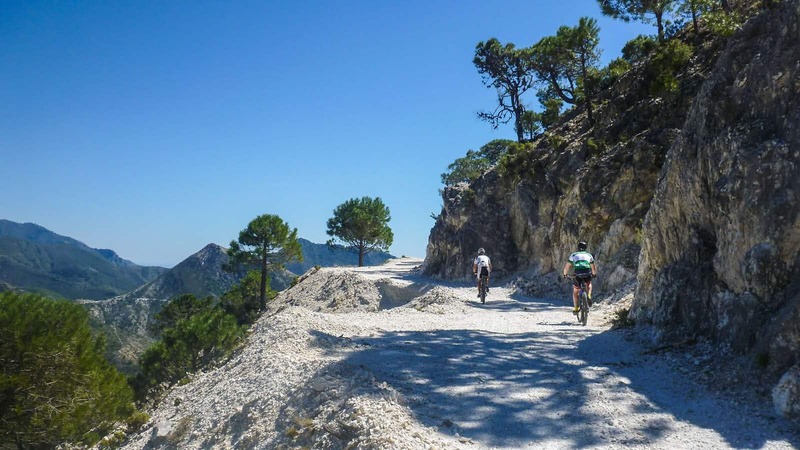 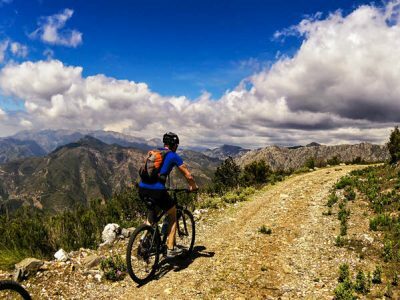 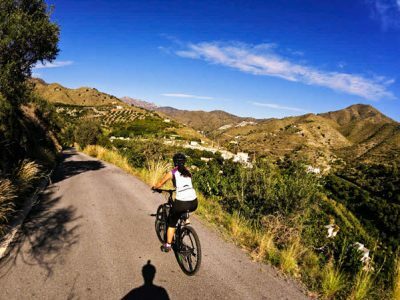 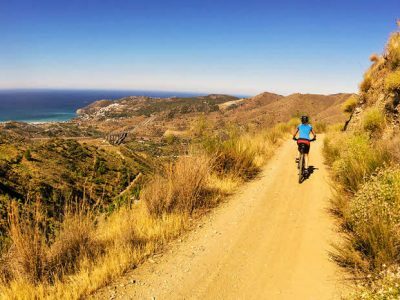 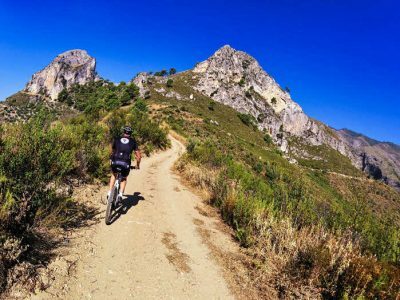 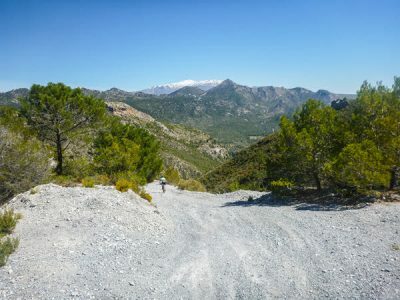 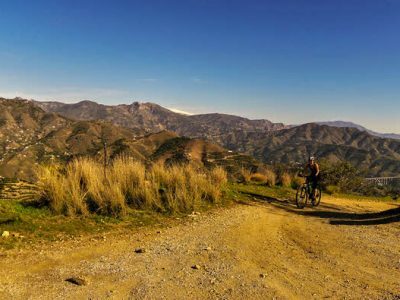 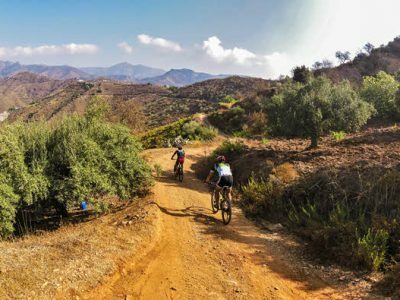 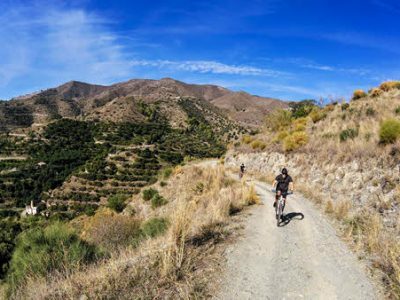 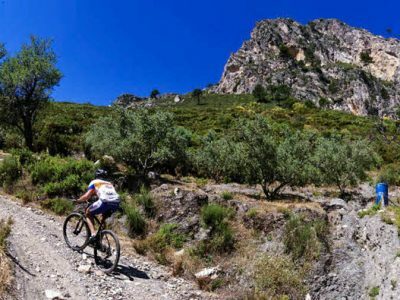 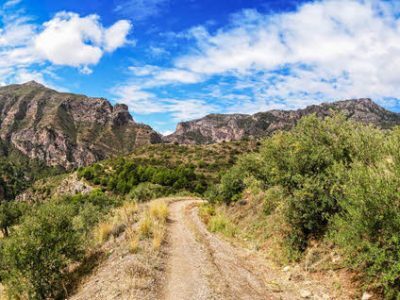 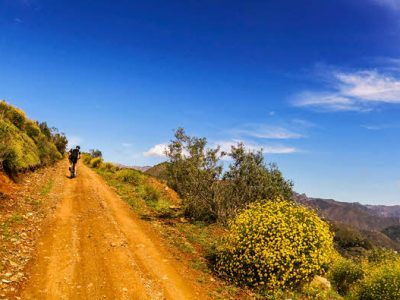 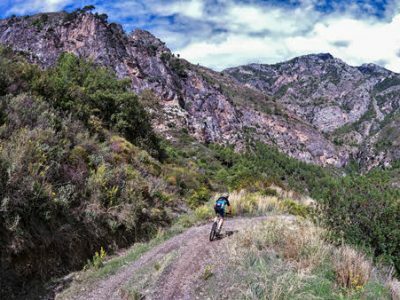 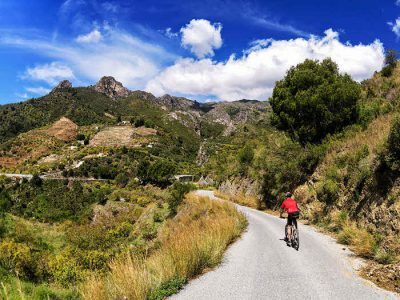 This expert tour climbs some of the white gravel roads that are located above Competa within the unspoilt mountains and natural park of Sierra Tejeda, Almijara and Alhama . 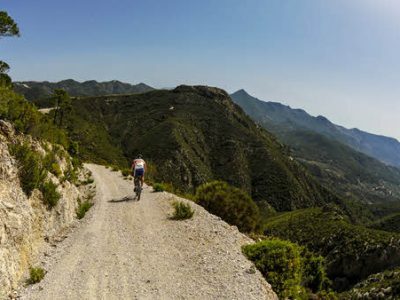 Stunning sceneries and a lot of gravel roads. 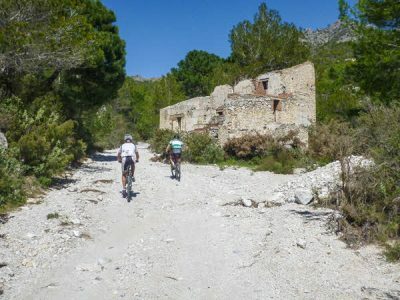 The tour starts in the small beautiful village Acebuchal locally known as “The Lost Village” or “Pueblo el Fantasmas” – The Village of Ghosts. 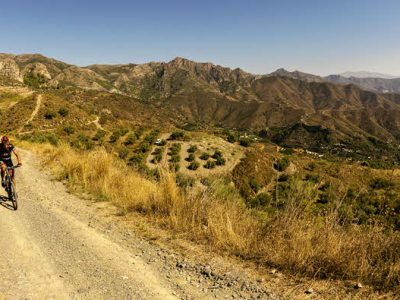 A medium tour on gravel roads with stunning views of the valley of Los Guájares. 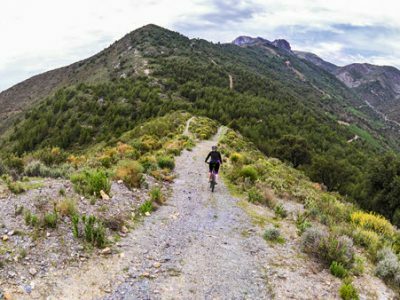 Spectacular sceneries with Sierra Nevada in the background and a landscape consisting of limestone peaks and ridges and plenty of pine trees. 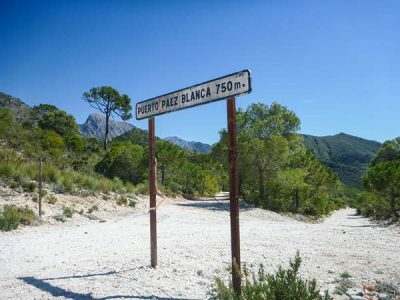 The tours takes you through the beautiful and yet largely undiscovered “pueblo blanco” - Guájar Alto. 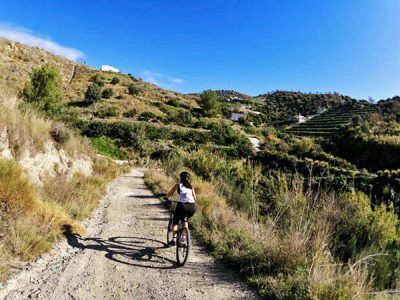 A nice introduction tour to mountain biking that takes you through the lower parts of the valley above La Herradura with a lot of fruit trees and a nice combination of tarmac and gravel roads. 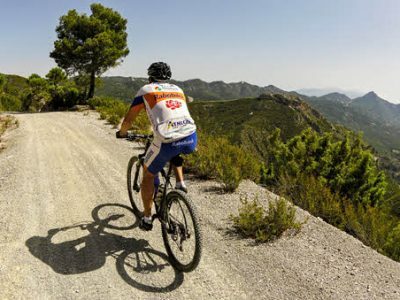 Ready To Take Your Mountain Biking To The Next Level? 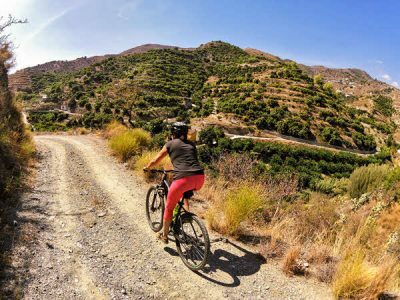 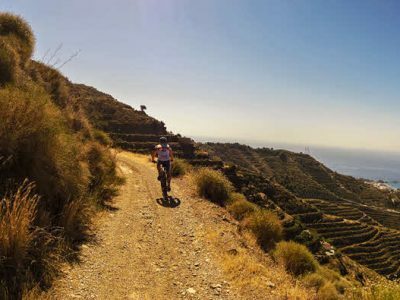 Climb up to Pico de Veleta on the north side and then enjoy an adrenalin-filled downhill on the south side to Las Alpujarras and Órgiva. 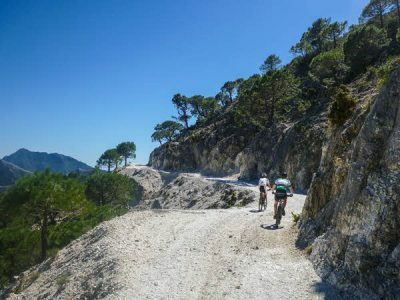 This is one of the great cycling challenges in Europe. 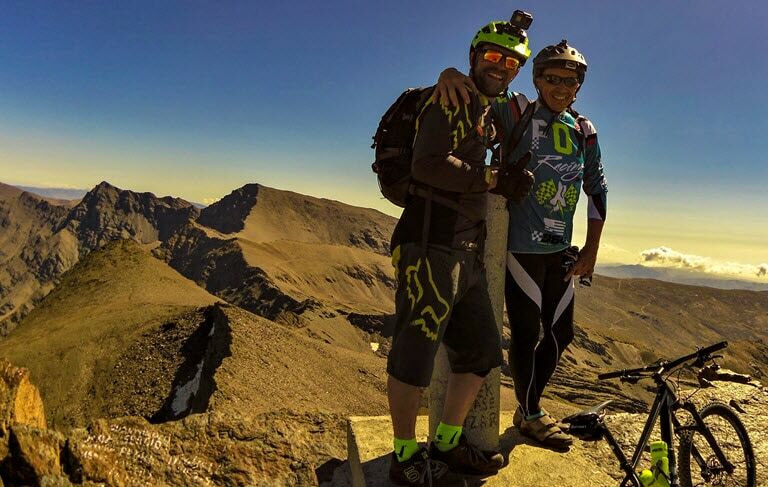 Join an unforgettable adventure and conquer the Sierra Nevada and Pico de Veleta with us!